Yes, April showers do bring May flowers! 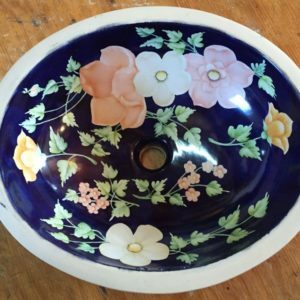 This time, they are in the form of a wonderfully done, hand painted sink. 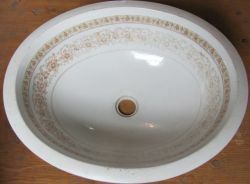 The background of the sink is is a very light pastel green with some accents that appear like water droplets. 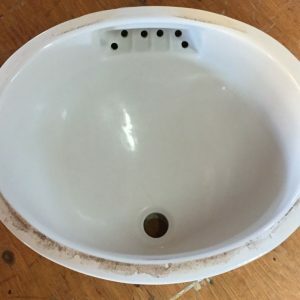 The sink shows no wear inside, and we believe it’s never been installed. 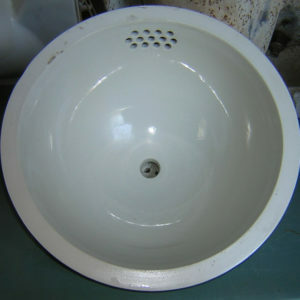 Its dimensions are Outside diameter 20 3/4” by 14 5/8”, the inside diameter is 18” by 12 3/4”, and it will accept “normal” drain assemblies. The flattened area will assist with clearance issues found when mounting the sink in narrower countertops. 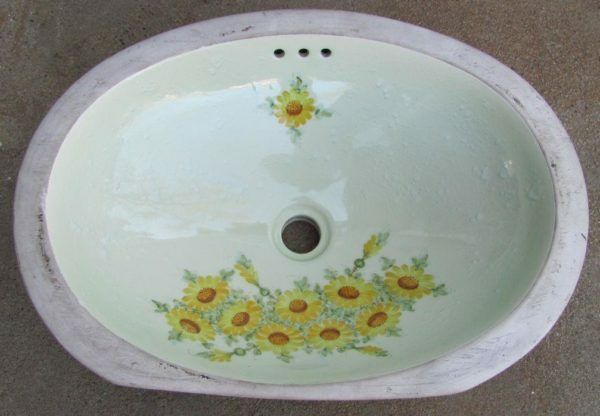 This is one nice sink, make it the centerpiece of your bath today!